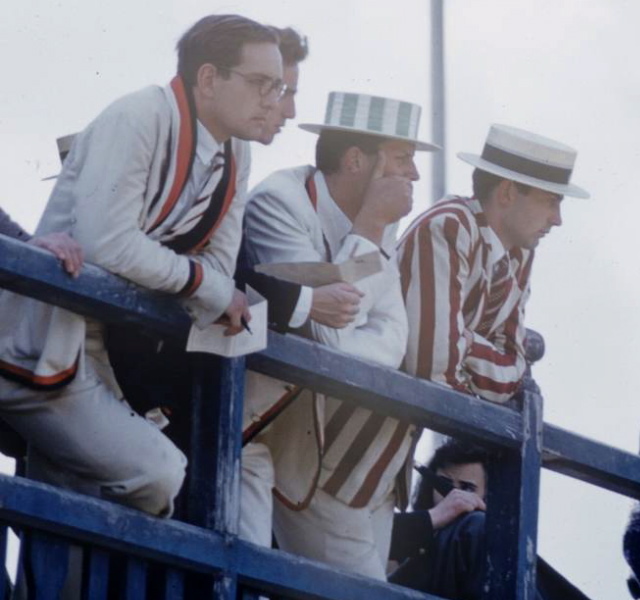 This past weekend the 157th Oxford and Cambridge Boat Race took place on the Thames, continuing the universities’ storied sporting tradition. Although nowadays the sculls are made of fiberglass and the clothes of Coolmax, in essence the event is largely unchanged since the days of wooden hulls and white flannels. Take a look back at Oxford in 1958 on A Continuous Lean. This entry was posted in Classics, Sporting and tagged A Continuous Lean, Oxford, sporting, UK. Bookmark the permalink.